Growing Green: THE HOPE IS IN THE SUBURBS? MAYBE SO. THE HOPE IS IN THE SUBURBS? MAYBE SO. 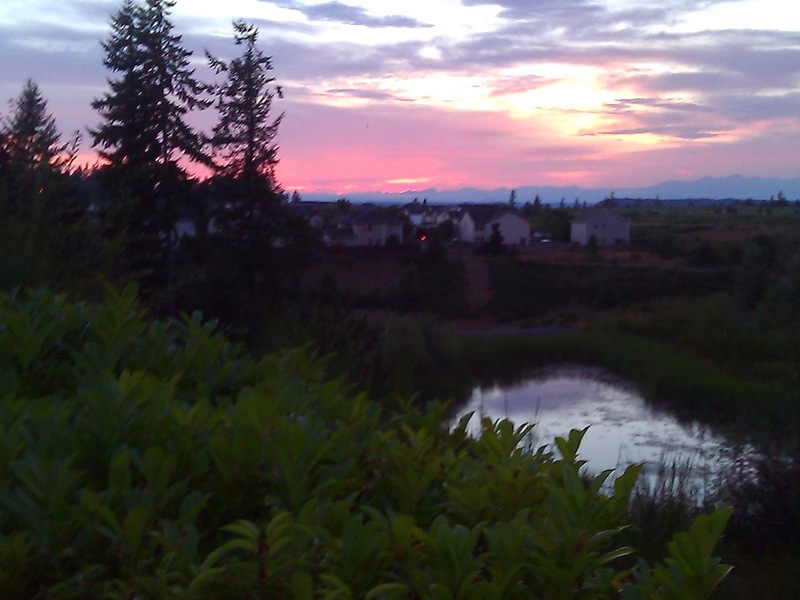 I appreciated living for 13 years in DuPont, WA, where much of the land area had been set aside by Quadrant, the builder, for wetlands and vegetated area. Water drained from the frequently rained-upon streets to filtration areas that looked like ponds and small lakes including the one below. But today, walking in Washington County, suburbia just to the east of Portland, I came to the tiny pocket park with the sign pictured below. A few moments earlier I'd discovered a larger pond on a down-slope in a housing development. 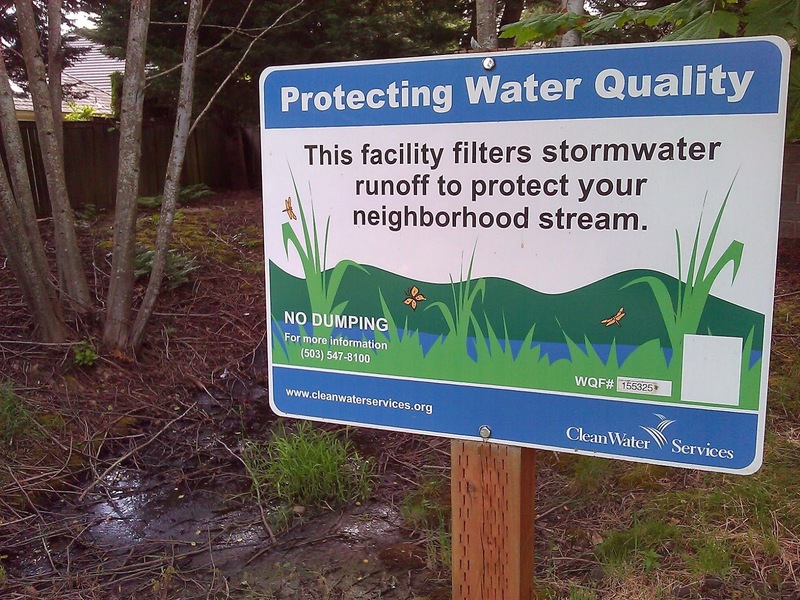 It, too, was designed to protect water quality. An added benefit: it was home to red wing blackbirds and the reeds they love, just as in DuPont. Hope lies in the suburbs? Certainly it seems true in suburban DuPont, Washington (click to the city's approach) and in largely-suburban Washington County, Oregon. You can read more about Washington County's Clean Water Services here. I'm excited by Jim's statement--provoked by it, actually. There's hope. It's working. Growing Green is working, in more ways than Two!